There are some recipes that hit Pinterest like a whirlwind. Slow cooker recipes seem particularly infectious and I am guilty of trekking the Pinterest Mountains in search of them. This one has been sitting in my boards for months, always making me curious about whether just any bread recipe works in a slow cooker. Today, we find out. My grandma (the one from the old country) used to make bread using nothing but her hands. Her daughter (my aunt) still teaches me to bake that way – a handful of this, a pinch of that. Too sticky? Add more flour. Too dry? Add another egg. Now that I cook with an actual baker, I get scolded mercilessly for eyeballing my baking recipes. Peanut butter and jelly. Tea and honey. Cheddar and jalapeños. Don’t even fight me on this one. There is no logical argument against it. My grandma used to give my sibs and me little chunks of dough to play with. Do you hear me? That’s literal play dough. She put a stop to it the day we got a wad stuck on the living room ceiling and she had to explain it to my dad. Here’s the thing about this recipe: you are essentially only replacing the oven time with slow cooker time, which inevitably makes the total cook time longer. If you want to bake a full size loaf, like this guy, you are looking at nearly 3 hours in the slow cooker (versus about an hour in the original recipe). The saving grace of taking this route is that it would be a great way to bake bread in summer without your entire home heating up. The bottom browns nicely, if not evenly. 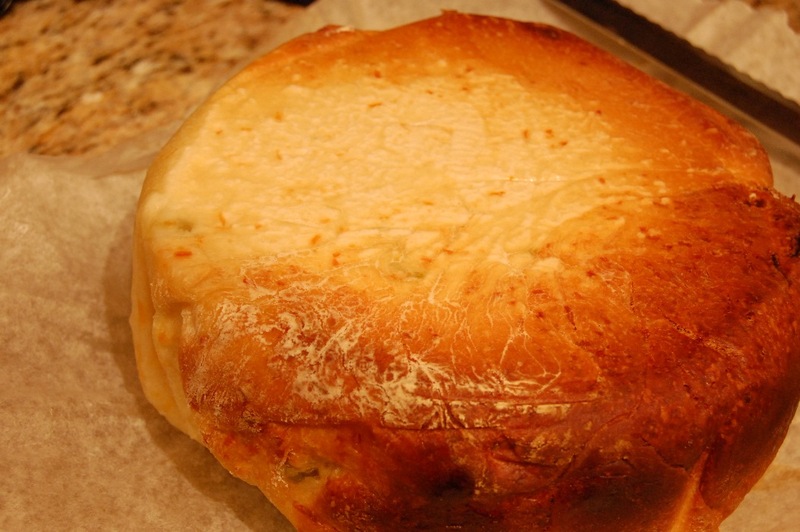 The top maintains a much softer consistency (the original slow cooker bread recipe notes the similarity to a steamed bun, and I agree) while the middle is very dense. I’m not quite won over on the method, but I would like to experiment a little more. 1. Stir together yeast and one tbsp warm water in small bowl and let stand until foamy. 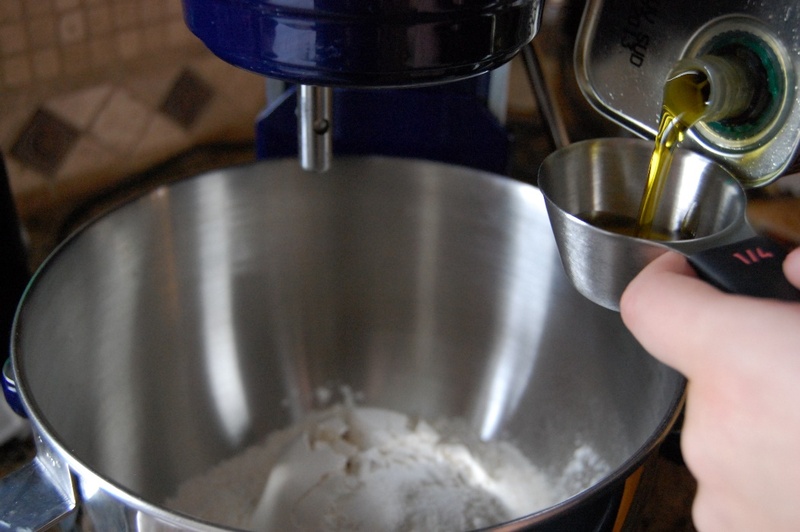 In separate bowl, mix together flour, salt, oil, and remaining water. Add yeast mixture and mix at low speed until dough forms. Increase speed to medium high and continue mixing for an additional 3 minutes. 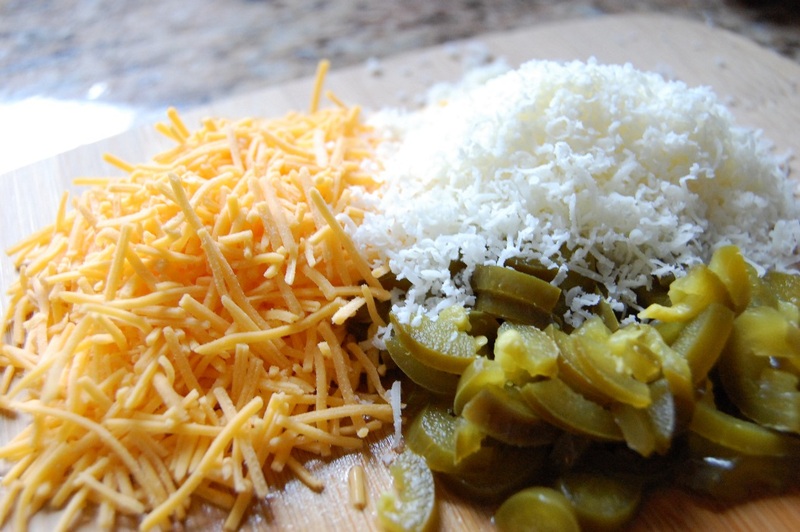 Add jalapeño, cheddar, and Parmesan and mix until combined. 2. Scrape dough down side of bowl and into center. Dust with flour before covering with a clean kitchen towel to allow to rise in a draft-free, warm area. Dough should double in size (about 2 to 2.5 hours). 3. 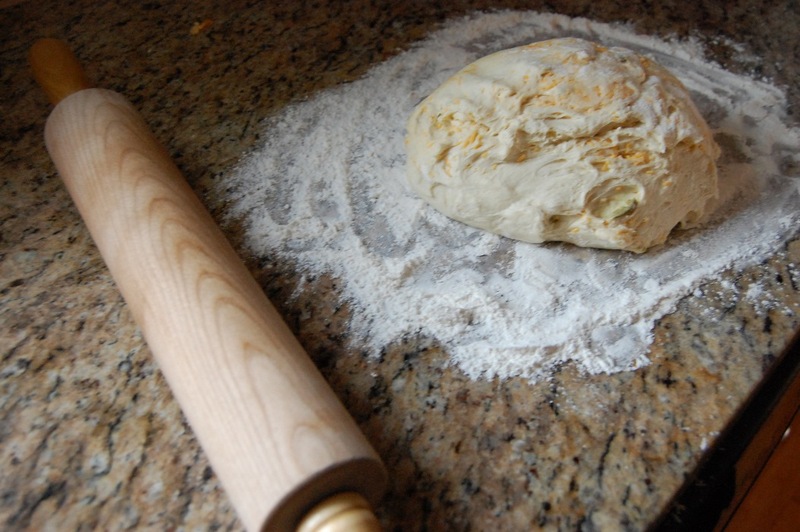 Turn dough out onto a well floured surface. 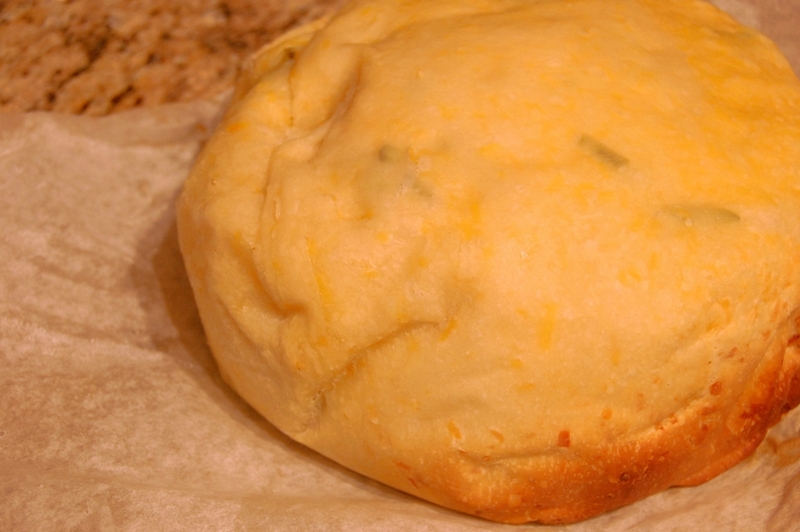 Gently roll into a rectangle (approximately 11 x 8 inches) and with floured hands, fold dough in thirds. Press along each seam to seal. 4. 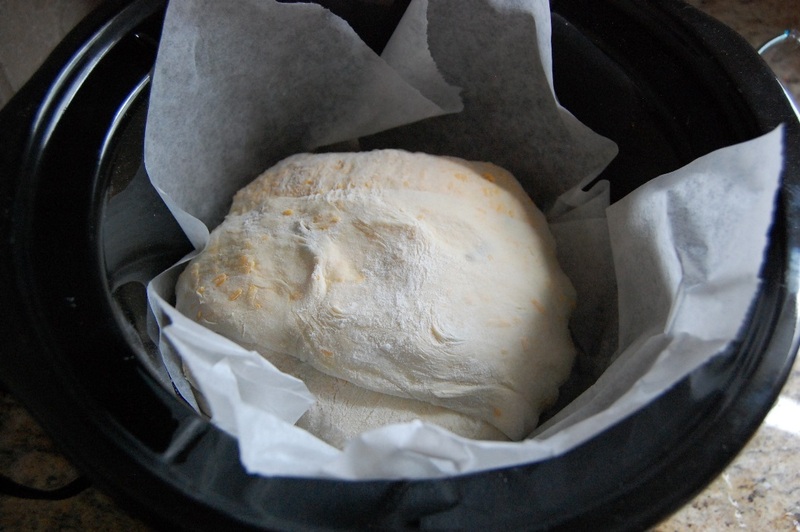 Line slow cooker with parchment paper. Place dough seam-side down in slow cooker (5 quart used here) and cover again with clean kitchen towel. Allow to rise another 1.5 to 2 hours. 5. Turn slow cooker on high and bake until done, approximately 2 to 3 hours. When done, the top of the loaf with feel slightly firm to the touch (it will “bounce back” when gently pressed). Remember that not all slow cookers are made equal – some run hotter than others and until you have a feel for how yours cooks, watch recipes closely to adjust times accordingly. 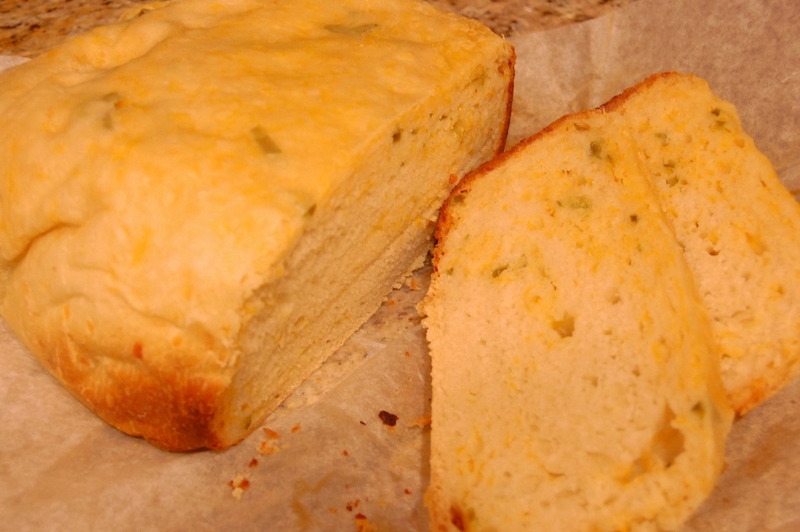 Adapted from Cheddar Jalapeño Bread. 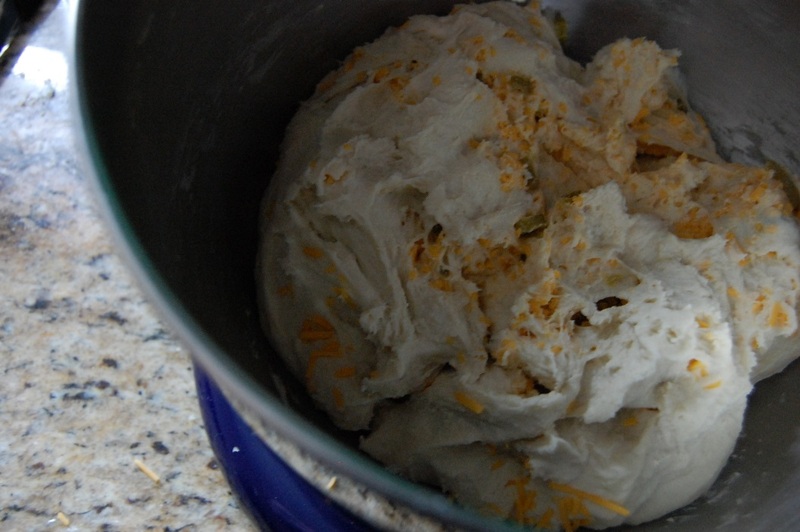 This entry was posted in Baking, Snack, Vegetarian and tagged Baking, Bread, Cheese, Cook Time, Cooking, Crock Pot, Easy, Jalapeno, Prep Time, Recipes, Simple, Slow Cooker, Yield by Lazy Suzan. Bookmark the permalink. I will try to make this one of these days but have to make it gluten-free! Looks very yummy! Slow cooker bread? I never would have thought it possible. No matter. It sounds like a great bread recipe. I may just pop it in the oven. Thanks for sharing. I think next time I’ll just throw it in the oven 🙂 Let me know if you like it!